Measuring simply could not be easier with this software – and no special knowledge is needed. The clearly arranged user interface enables users to immediately navigate around the system using familiar forward/backward movements. A simple clear homepage is the direct entry to each measuring task. 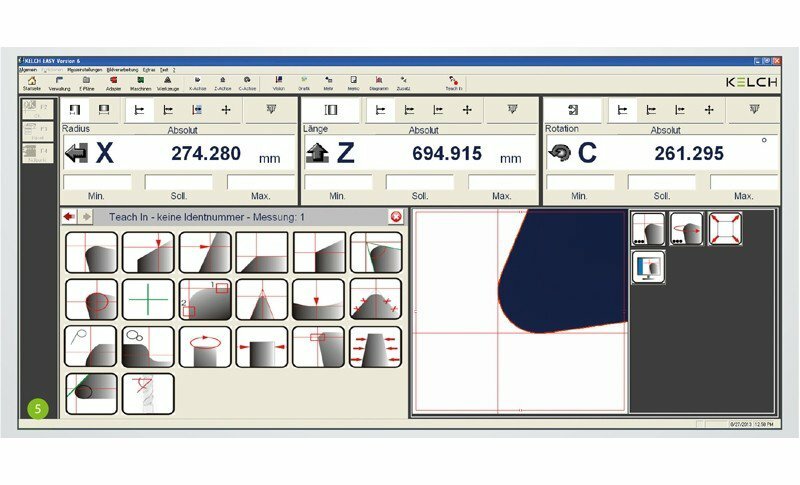 Other input screens, such as Picture Start, guide users step by step to the correct measuring result and also to the automatic measuring program. 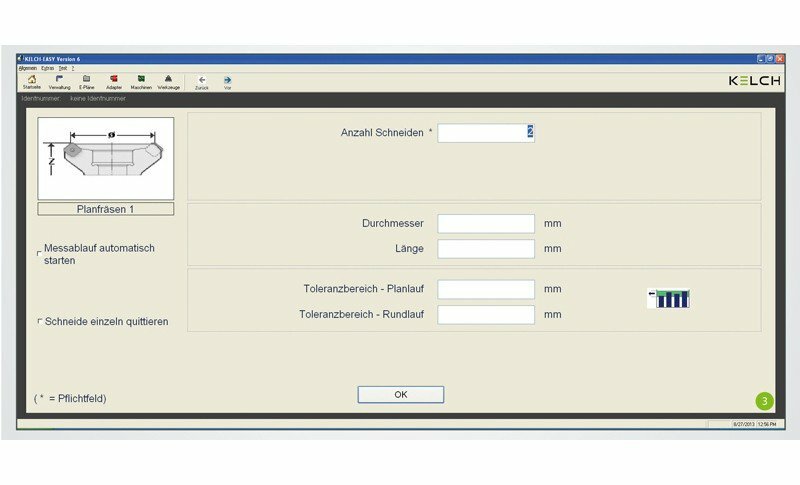 Adapters, machines, original tool forms, tooling plans and measuring processes are saved in the integrated database. The standard configuration includes bidirectional data communication (DNC) via a network card or serial interfaces in the KELCH data standard. Complex tools can be measured fully automatically for the first time with the Teach-in software option. 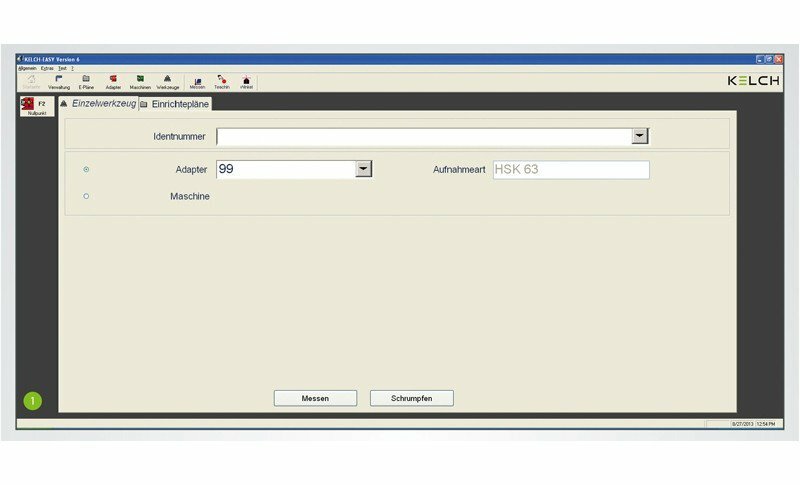 Fully automatic measurement guarantees precise measuring results and enables tool presetters to be operated regardless of the operator's knowledge and expertise. All measuring steps are retained and can be saved as a complete measuring program with the tool. 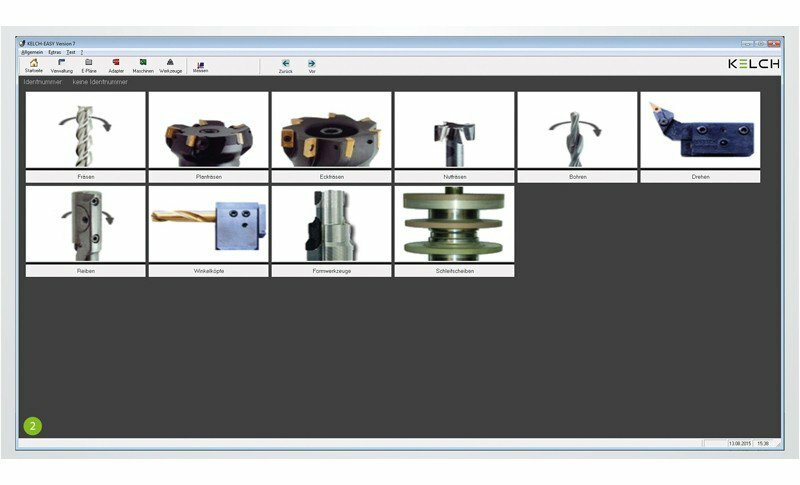 EASY leads each user securely through the program with Picture Start using concise, easily understandable input dialogs. Practical pictures and graphics help with navigation and orientation. Input the measurement of individual tools or entire tooling sheets on the homepage. Then select the appropriate adapter on the tool presetter. If one of the tools entered has already been saved, the system calls it up by its identification number and immediately begins the measuring process. Select a tool using Picture Start. The selected tool then performs the measurement. Picture Start is KELCH's own in-house developed selection menu. Define the tool group you require using the different graphics. 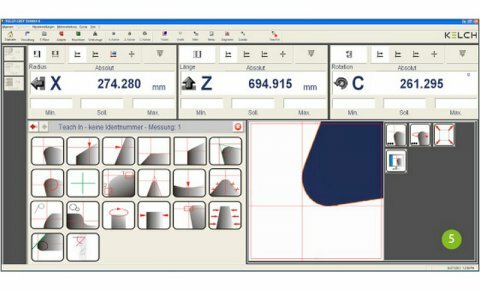 Simply click on the right graphic depending on the tool type and cutting geometry. Use ParaDirect (PaD) for inputting data. This is a concise, easy-to-understand input dialog into which you enter the target dimensions and tolerances. Simply complete the mandatory fields for the measuring process. The corresponding measuring process begins when you have confirmed by pressing Enter. The data is entered from the PaD and the required measurement results are instantly available. Any actions required are clearly visible on the monitor. The measuring process begins as soon as the identification number has been entered on the homepage (step 1). It starts automatically if a measuring run has already been entered. 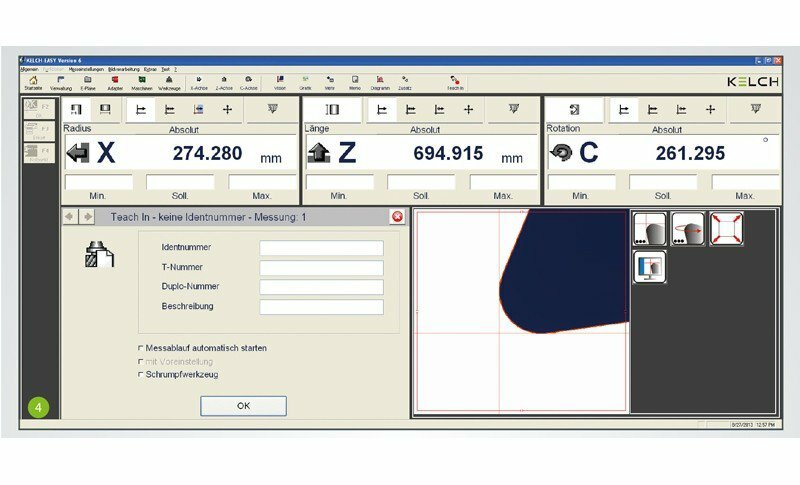 The new user interface for the tool presetter's software delivers the most precise measuring results and is easy to use and understand. The familiar Home-Forward-Back navigation is similar to the method used in most browsers. meaning that you can return to the starting point by pressing just a single button. EASY software also comes with online Help, which is also easy to understand and structured in a similar way to Windows.